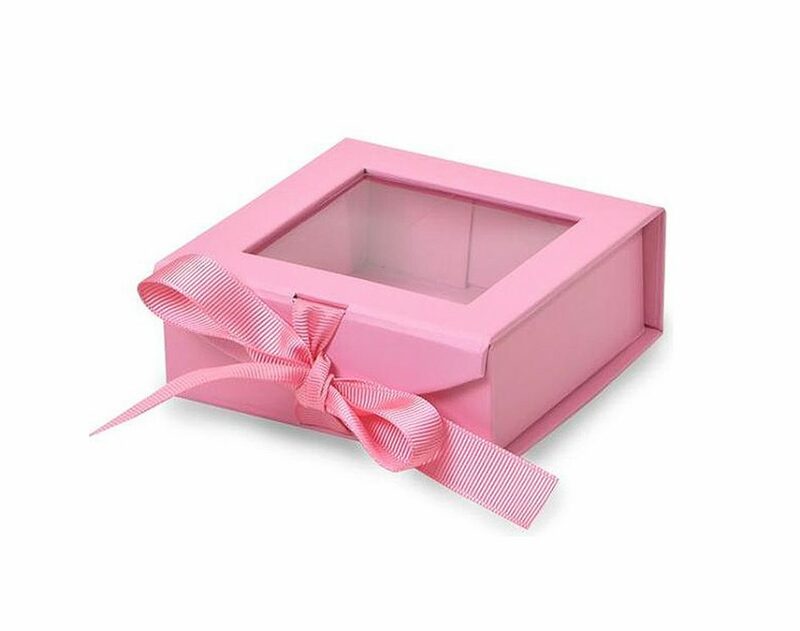 Being a reliable and professional collapsible gift box manufacturer, we offer more than thousand kinds of rigid, magnetic, and foldable cardboard boxes. The cardboard is made out of thick material so that your collapsible gift boxes remain professional in appearance and high quality in usage. 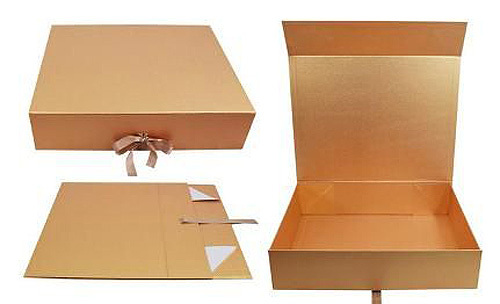 We cover printed papers and customized cardboard material to accessorize your custom collapsible gift box. The collapsible boxes styles that we offer to our worthy customers include drawer shape gift boxes, book shape gift boxes, top and bottom shape gift boxes, drawer shape gift boxes and collapsible gift boxes. You can pack all your sensitive VR devices to crystal bottles and fragile statues to delicate chocolates in our safe collapsible gift boxes. We offer the largest size of 100x100x100 cm to the standard gift box with dimensions 203 X 203 X 63 MM square size. The material that we offer is a duplex board that is coated with specialty paper or printed art paper. Some of our customers require heavy products like a pack of bottles that makes us use HDF coat couples with printed paper. With collapsible magnetic cardboard boxes, we go for 1.5mm/3mm/2mm duplex board coated with 157 gsm specialty paper or art paper. We offer a wide range of printing that includes litho offset printing, UV printing, and flexo printing. Our way of printing is significantly different as we the pigment is not used directly on the collapsible box just like a corrugated box rather it is printed on coated paper and then gets laminated on collapsible cardboard. It is important that design is in such way that folding area is kept in mind so that printing work is not spoiled. We offer printing finish ranging from lamination, glossy varnish, UV varnish, hot foil stamping, matt varnish, debossing and embossing. 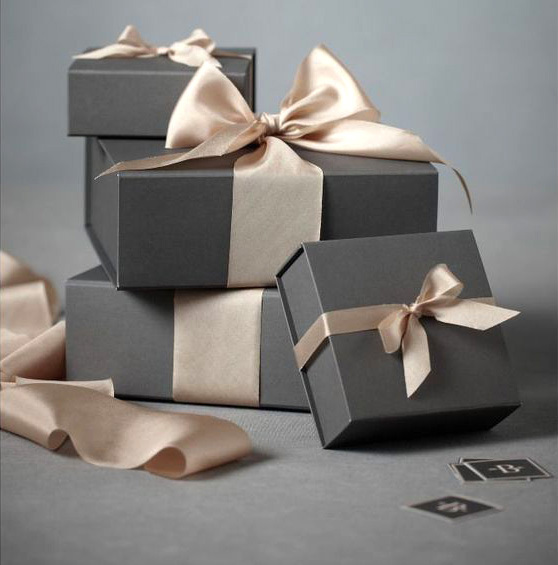 Additionally, if you wish to add luxury feel in the gift box, then go for hot foil stamping as it highlights the logo which is coupled with anti-scratch soft touch film to make it exquisite. The shape is another important characteristic that adds style and luxury in the collapsible box. It is much more practical as compared to other boxes made out of paper. This is because there is a list of parts that make one gift box. When you place differently shaped boxes together, it is a fancy sight. The range of inserts includes paper pulp box, EPE/EVA/PP inserts, and cardboard inserts. To make it more environment-friendly, we use the paper pulp to pack electronic packages. Moreover, we add EPE/EVE/PP inserts for luxury products, and cardboard inserts for various products. Namely lift-off or detachable gift boxes, these rigid ones are easy to open with a slide of a finger. This is basically due to the hole situated on sides. Your brand or logo placed on the top will add to your market value. Other than the custom styles of collapsible gift box, we at Custom Print Box also prepare unique shapes for our clients. Thanks to our skilled workers and design team. Feel free to order at earliest on our contact numbers.